Manufactured in Suisse from 1952 until 0. Model 5 is a model having simultaneously a viewfinder with Kern prism with 45° with rectifying image and a direct viewfinder. It puts off of the model 4 which has a viewfinding with 90°. 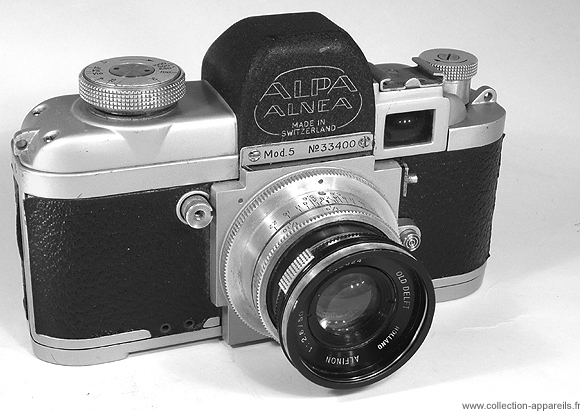 The body of the camera is out of aluminum, much more robust than that of Alpa of first generation. The lens is held by a specific bayonet. It was manufactured with approximately 2200 specimens.